Usually anglers like to go after the biggest fish in the ocean, but a new study revealed that going after the biggest female fish is directly linked to the rest of the fish available in the ocean and on your plate. This is because the bigger the fish, the more babies she can have. 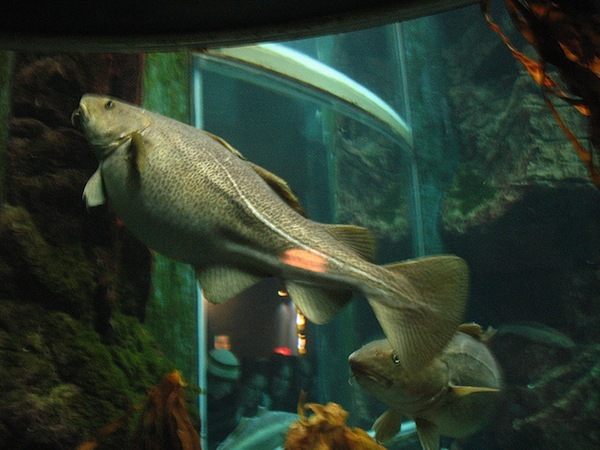 Big, old, fat, fecund, female fish help contribute to the future populations of fish in the ocean. The BOFFFFs pack more energy/nutrients in their yolk, therefore the babies have a better growth/development advantage over smaller babies. Older and wiser females spawn their eggs in various places over longer stretches of time than other younger females, often spawning sooner. The effect of removing "Big Mama Fish" from the ocean creates so much pressure on the smaller fish that it alters the genetic structure of a population. Without these fish, the populations of many species of fish will eventually die off in continuous cycles until they are all gone. I had no idea fish reproduction worked that way. I just thought all of them were the same, but that wasn't the case at all. I do see the importance of the BOFFFFs now, especially because of what I saw their absence can do to an entire fish population. The danger of losing various species is too great to continue current fishing practices. It will be a great economic hit as well as ecologically. Because of the possible extinction of various species of fish, we would no longer be able to catch, sell, or eat them, meaning people who depend on fish for food and income will have virtually no other way of surviving. Without the necessary species of fish in the ocean, the ecosystem they serve in will stop flowing properly and eventually will result in the death of other populations. It is a lose-lose situation for both sides in the long run, which is why fishing methods have to change.